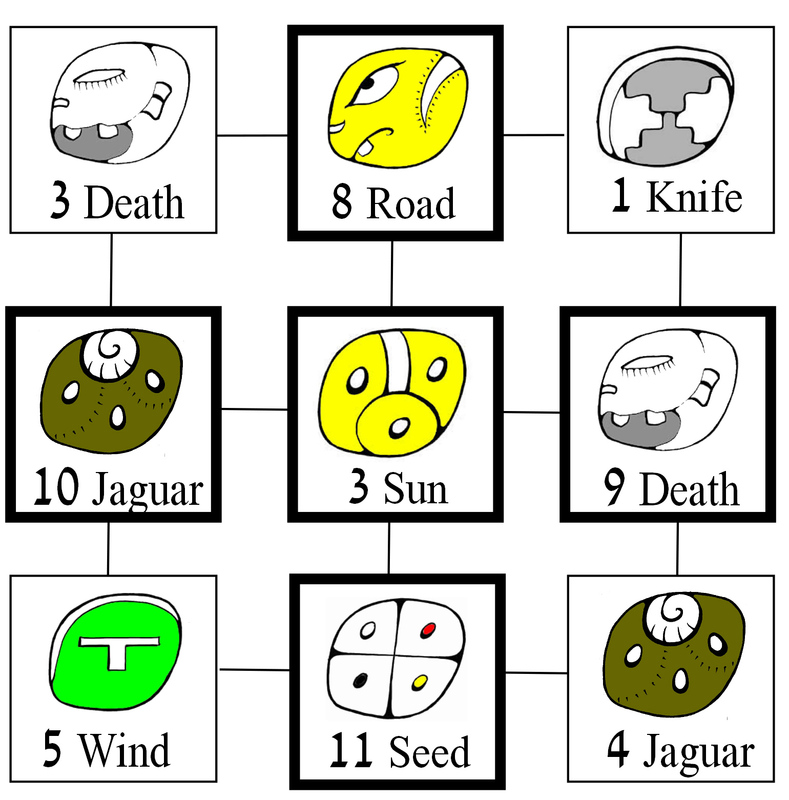 A nine-nahual Mayan astrological chart, the Constellation resembles the Mayan Cross chart but adds more detail and guidance on the days of your Youth and Future with nahuales on the left and right sides of those nahuales. The day signs on the left and right sides of your day signs of Youth and Future tell you how to apply the basic energy of the latter day signs. As with the Mayan Cross, the one of the left in the chart masculine and deals with logic and action, while the left one tells how to deal with your feelings and emotions. The Constellation is an integral part of a ceremony called the Path of the Plumed Serpent, which should be performed once during each 260-day round of the tzolkin. Fire ceremonies on each of the nine days in your chart can bring you an immense amount of energy, which gets stronger every time you repeat the ceremony.